Florence has been defined in many ways, from the birthplace of the Renaissance to the cradle of Western civilization. Fodor’s even claims that the Tuscan capital “changed the way we see the world”. In 1966 a terrible flood covered the city with mud and volunteers from all over the world came to help, even Ted Kennedy, brother of John Fitzgerald and Robert, appealed to everyone’s sensitivity for help and founded the CRIA, Committee to Rescue Italian Art, chaired by Jacqueline Kennedy. So, what is all the fuss about? What are really the best things to see in Florence? One of Italy’s most expensive travel destinations (Venice is still strong in the pole position, in our opinion), yet Florence is always packed with tourists. Is it really worth your time and money? While you can answer this question only by visiting and experiencing first-hand, with our online Florence travel guide you can already start shaping your own idea and decide whether it’s your type of travel destination or not. The origins of Florence date back to Etruscan times when the residents of surrounding hilltops settled in the valley of the Arno river. Subsequently, the Romans named the city “Florentia” as of “fated to flourish”. Under the Roman rule, from the 1st century BC Florence did begin to flourish and to impose itself among the other major cities of the Etruscan Tuscia region, today possible to explore from its wonderful main town Viterbo and the myriad of itineraries this land offers. In the immediate aftermath of the fall of the Roman Empire, a bit all over Europe a time of economic stalemate kicked in, and Florence was no exception. However, unlike Rome itself, during the Middle Ages Florence throve. From the 10th century it started acquiring more independence from the powerful families of the region, and in the 11th century, it became a free Commune. The 13th and the 14th centuries saw Florence impose itself as one of the economic hubs in Italy thanks to its banks, its craftsmen and its great artists of the likes of Giotto and Dante Alighieri. Florence has always been a centre where all forms of arts were encouraged. One of its most powerful clans, the Medici Family, ruled the city for centuries allowing arts and humanities to thrive. Founded by Cosimo Il Vecchio, the Medici family had many notables, among whom, Lorenzo Il Magnifico was one of the most popular both within Florence and among the little city-states all throughout the Italian peninsula where he was regarded as the needle on the Italian scale. If you are travelling to Florence and want to dig deep into the wonders of the city, we recommend Walks of Italy’s tours. They are led by highly knowledgeable guides and will really make you feel the vibe of the place enriching the tours with secret gems and historical anecdotes that otherwise you are likely to miss. Click here for details and the prices of Walks of Italy tours. All you need to know before visiting Florence Cathedral: how to book, what to see, what to expect. Plus some pretty interesting facts on Santa Maria del Fiore Cathedral, dome and bell tower. 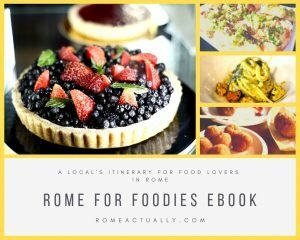 Where to eat in Florence? Here are some great Florence restaurants for first-time visitors so that you can try delicious local food without getting too far from the city's famous landmarks. Read our full guide to the best things to do in Florence, what are the best restaurants in Tuscany's capital, when is the best time to visit Florence and what are the best hotels to make your Florence trip planning easy and smooth.